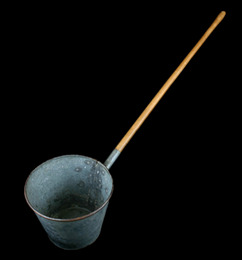 Sheetmetal bucket with wooden handle used to collect cow manure during nutrition experiments at the University of Wisconsin, Madison, Wisconsin, 1907-1911. It may be hard to believe, but this rather plain looking (and perhaps once malodorous) feces bucket played a role in one of the most important experiments on nutrition conducted at the University of Wisconsin in the early 20th century. Professor Stephen Babcock, a pioneer in agricultural chemistry, conceived of the studies known as "single-grain experiments." These experiments allowed researchers to evaluate the nutritional sufficiency of different types of animal feed through carefully controlled feeding conditions. Edwin Hart, George Murphy, and several associates then carried out these studies, which overturned the conventional wisdom regarding animal nutrition and paved the way for the discovery of vitamins. In the late 19th century, German chemists developed a method for analyzing the chemical composition of animal feed and then used their findings to recommend feeding practices to farmers. The chemists based their recommendations on making sure that the animals received sufficient amounts of protein, fats, sugars, salt, and water in their diet to account for their energy needs. These scientists theorized that it did not matter what the animals ate as long as it met the total chemical requirements specified. In Wisconsin, Babcock, having grown up on a farm, suspected that something was missing from this theory. He noted that traditionally farmers had instinctively fed their livestock a variety of foodstuffs to ensure healthy animals. Babcock joked with his German colleagues that, according to their analyses, farmers could successfully feed their animals coal and ground leather because a combination of these substances met the nutritional requirements they had specified. It was obvious to Babcock that the Germans' work was incomplete. 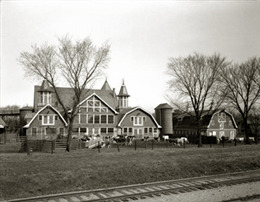 Babcock, who had come to the University of Wisconsin in 1887, was able to pursue his own ideas on animal nutrition after a young agricultural chemist, Edwin Hart, was hired to replace him as head of the Department of Agriculture in 1906. 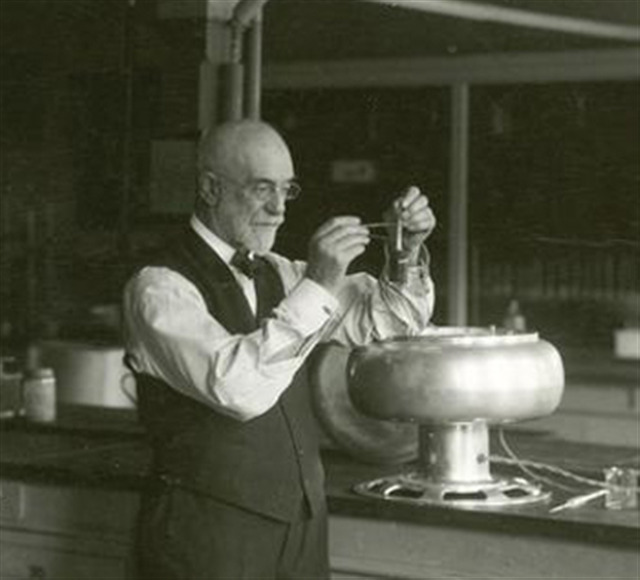 In early 1907, Babcock, Hart, Murphy (from the Department of Animal Husbandry), and William A. Henry (Dean of the College of Agriculture) conceived of a series of experiments that would shed new light on animal nutrition. 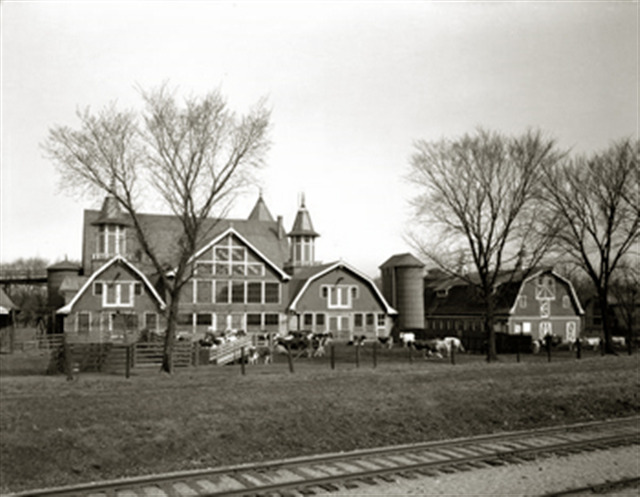 For their experiments, the Wisconsin researchers divided sixteen heifers into four separate groups; one group was fed only wheat, another corn, another oats, and another a mixture of all three grains. While each cow's diet differed in content, each was chemically equivalent and contained that same amount of proteins, fats, sugars, and salt regardless of the type of grain each animal was being fed. 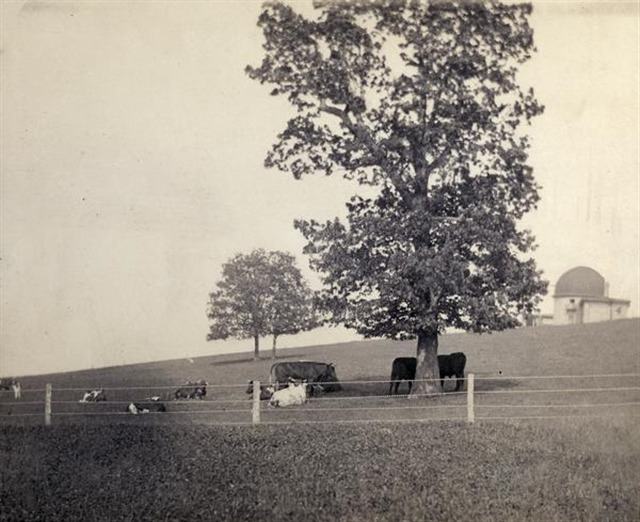 Hart and Humphrey observed the animals for a period of four years, and were assisted by two additional members of their team, E. V. McCollum (a chemical analyst) and Harry Steenbock (then a graduate student assistant). Over time it became clear that the corn-fed animals were thriving, but the wheat-fed cows were developing health problems including lethargy and stiff legs. The oat-fed and mixture-fed animals fared somewhere in between. McCollum conducted extensive analyses of the animals' feed, feces (collected with the aforementioned bucket), urine, blood, and milk to determine if there were any differences in the animals' digestion, all to no avail. The scientists also bred these animals, and again the corn-fed heifers' calves thrived, while the other three groups' progeny fared much worse, often being born prematurely and dying shortly thereafter. It became clear to the researchers that some substance was present in corn that was deficient in the other grains, and that this substance was not identifiable through standard chemical analysis. Though the Wisconsin researchers were not able to identify this unknown substance during the period of their trials, the results of their experiment set the stage for future researchers to uncover these important nutrients. These nutrients, now known as vitamins, began to be identified beginning in the 1920s, and shed further light on the essentials of a healthy diet for both animals and humans. In his 1928 book "Hunger Fighters", P. De Kruif celebrated the importance of the Wisconsin researchers' work: "And the splash of Babcock's experiment made rings of ripples that reached to laboratories all over the world, and in every country men began fumbling for those mysterious unknowns in food, the lack of which makes men and beasts with full bellies so dangerously hungry." Thus, this humble feces bucket made a contribution to nutritional science that perhaps few (particularly those assistants who handled it) might ever have imagined.